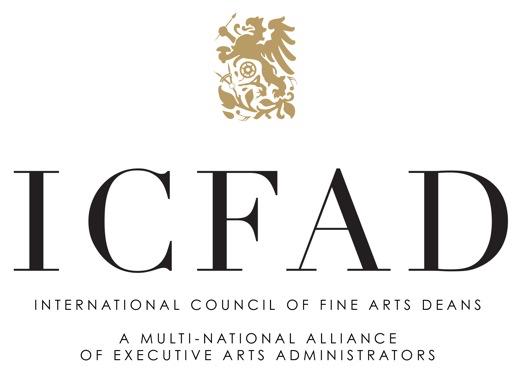 By participating in an Annual Conference or International Symposium offered by The International Council of Fine Arts Deans, members will explore the many aspects the arts in higher education play in offering cultural experiences to the greater community; how we develop and sustain creative communities; and, the important role the arts perform in linking the arts, culture, commerce and the community. Professional development sessions provide participants with new ideas and techniques for a wide variety of programs. The ICFAD triennial international summer symposiums are designed to be informative and educational experiences that address global issues in the arts. The programs take advantage of the unique cultural aspects of the selected host sites and involve arts administrators, artists and government leaders of the area. The cultural enrichment that ICFAD’s international members bring to the organization can be highlighted through the venues that are selected for the symposium.